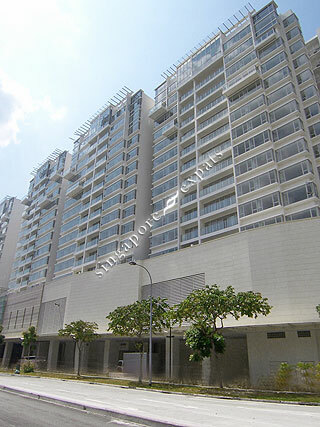 The Centris is a 610-unit, 99-year leasehold condominium located at Jurong West Central 3 right in the heart of Jurong. At The Centris, all it takes to get to the MRT is from the lift of the condominium. Its 12 blocks are above the Jurong Point Shopping Centre in which amenities like supermarkets, shops, eateries and restaurants can be found. Educational Institutions such as the Boon Lay Secondary School, Jurong West Primary and Secondary Schools and the Nanyang Technological University are located nearby. The Centris is accessible via Pan Island Expressway (PIE) and Ayer Rajah Expressway (AYE), keeping The Centris connected to every corner of Singapore. Commuting from The Centris to the Central Business District (CBD) is convenient and easy. This condo is above Singapore’s second largest suburban mall, the extension of Jurong Point Shopping Centre. You can find everything and anything under mall including a 24 hr supermarket, newly renovated GV cineplex with stadium seatings, 24hr eateries, IT/digital, health and beauty, fashion and 24hr convenient store. It has an integrated transport system within the condo that includes Boon Lay MRT station, Jurong Bus interchange and taxi stands. The most convenient living place in west Singapore. A very popular condo for expat. Most conveniently located next to MRT and shopping complex. Huge pool, playgrounds and greenery for both kids and adults to play and relax! The place is very well maintained, apparently the strata management's very good. Location is very convenient to shopping mall, MRT. Doctor clinics, childcare. Nearly have everything that you would possibly need! Quiet living and yet has direct access to 500 mall shops and MRT.